1. 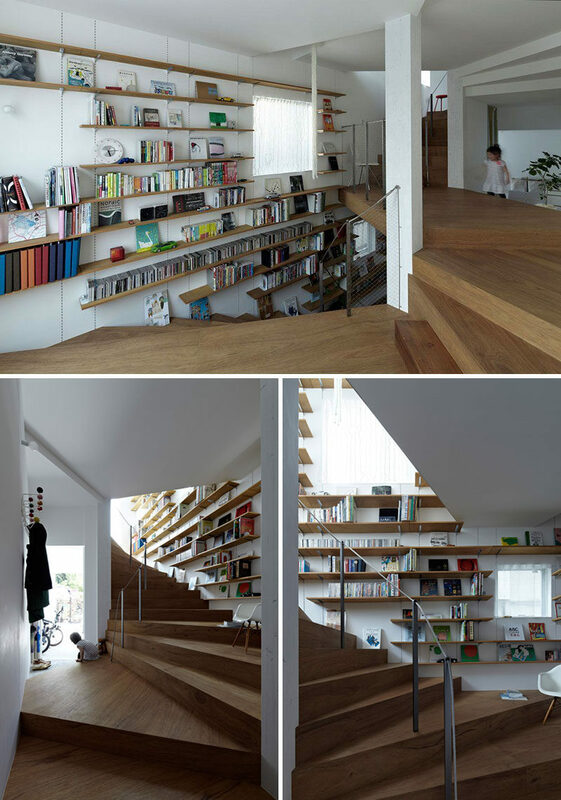 The stairs in this loft are sandwiched between a bookshelf on one side and a safety net on the other. 2. 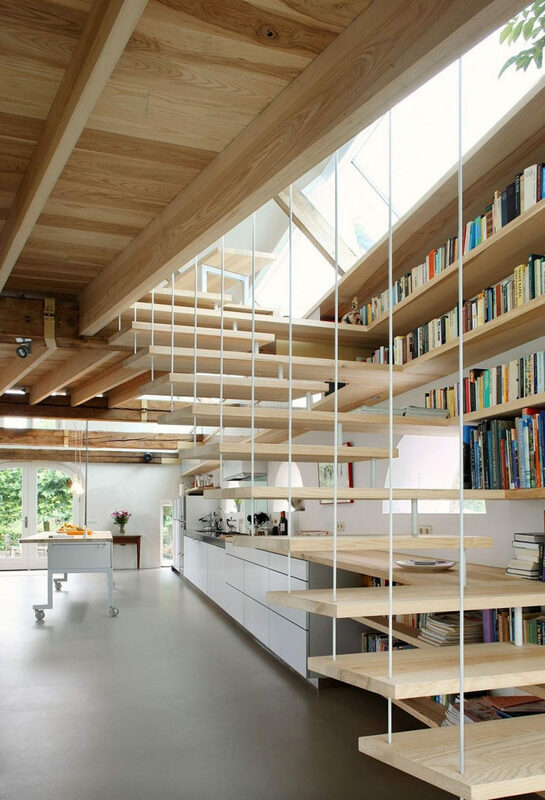 The shelves that run along side these stairs continue into the kitchen. Designed by Maxwan Architects. Photos by Filip Dujardin. 3. 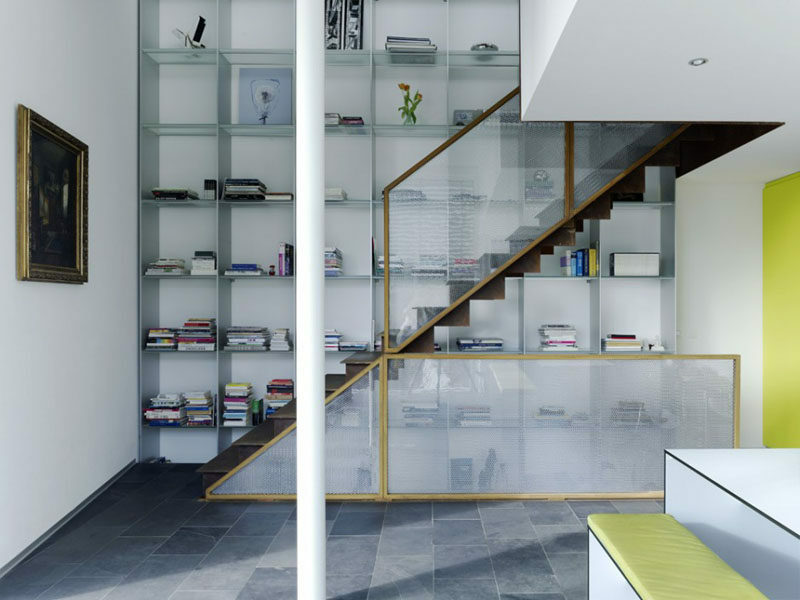 These stairs and bookcase use a variety of materials including glass, steel and wood. Designed by Zack | de Vito Architecture. Photos by Bruce Damonte Photography and Paul Dyer Photography. 4. 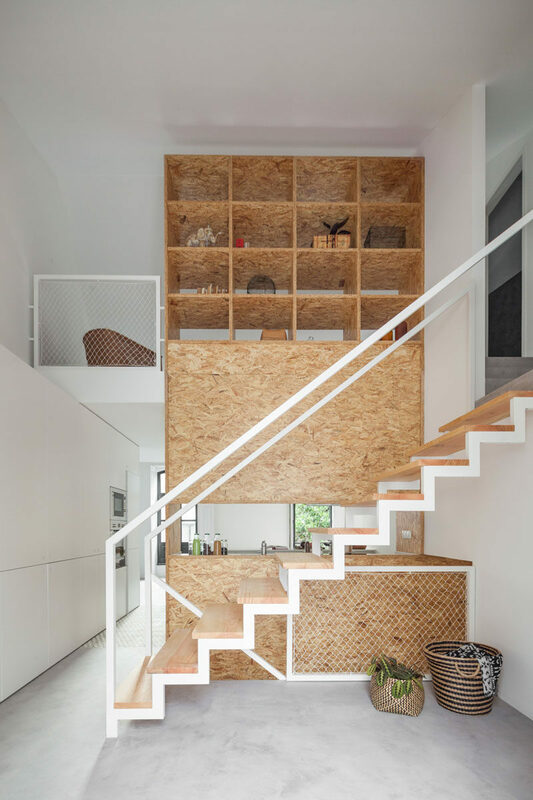 These plywood shelves that follow the stairs up are a great place to store books and display art or other decorative items. Designed by John Donkin Architect. Photos by Urszula Muntean. 5. The floor-to-ceiling bookshelf allows for lots of storage in this open concept home. Designed by zo2. Photos by Simone Rosenberg. 6. 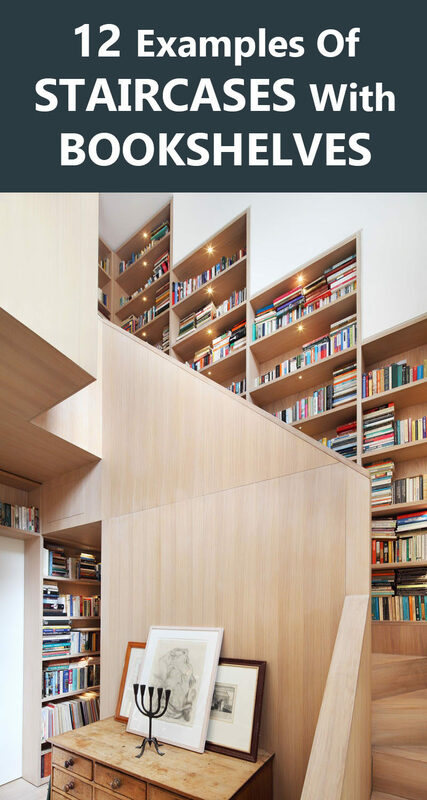 A wooden wall transforms into an open bookshelf as you climb these stairs. 7. 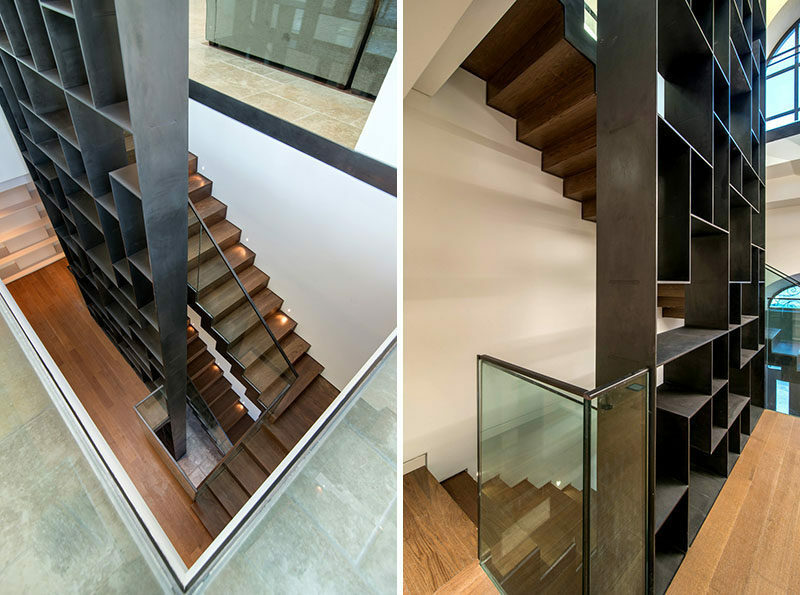 This staircase/library combo is in the center of this London home, and small lights ensure that everything is on display. 8. 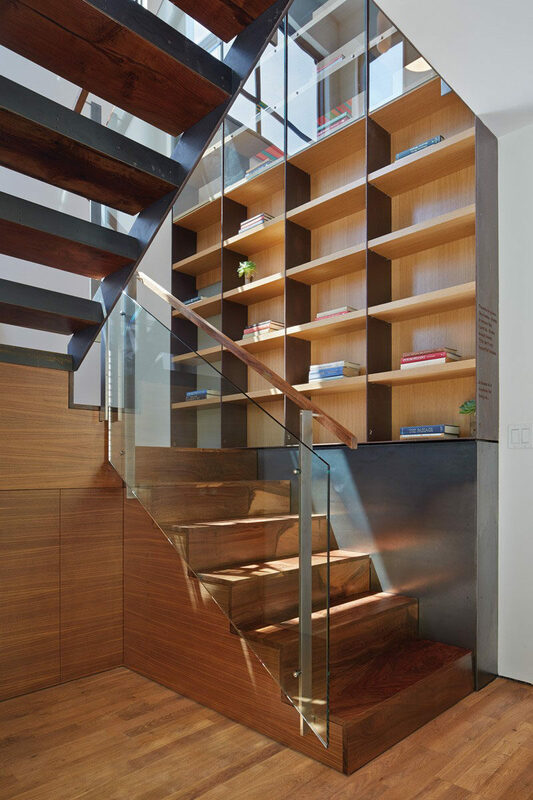 This steel bookshelf travels upwards along side the stairs in this home. 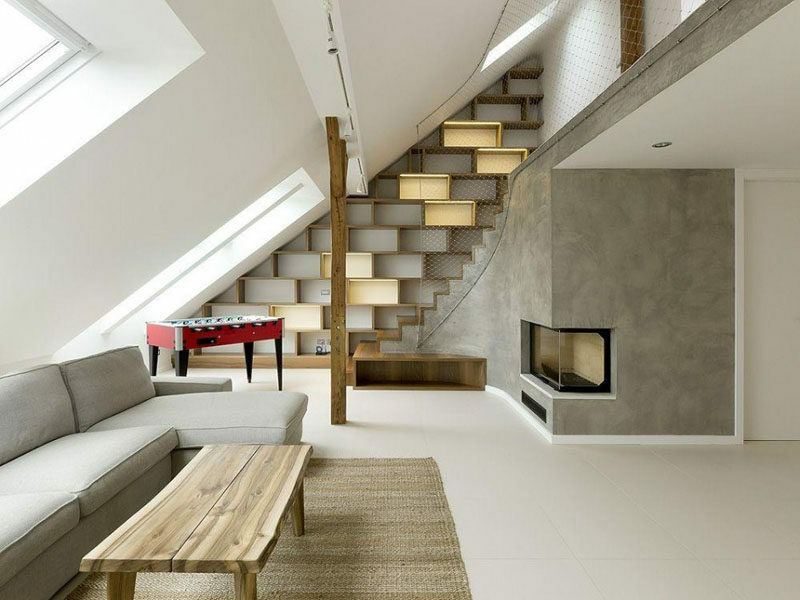 Designed by Matti Rosenshine Architects. Photos by Ilan Nahum. 9. 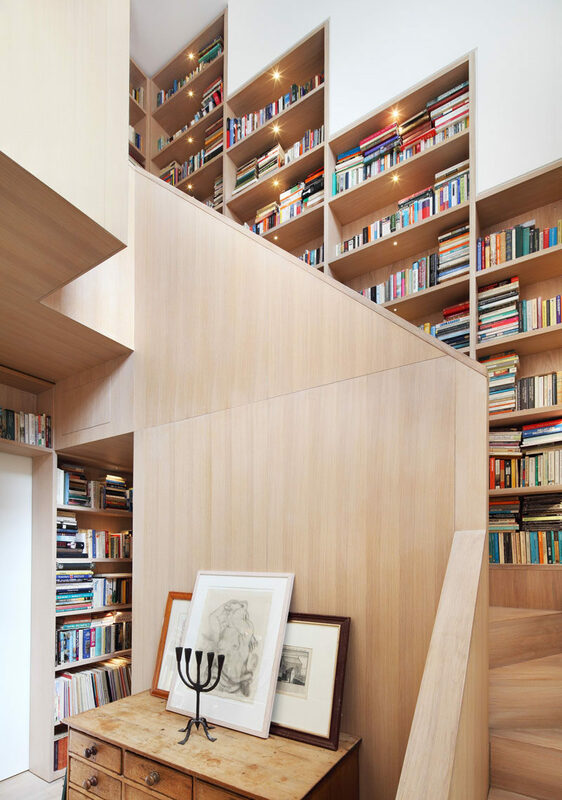 This winding staircase has floating bookshelves along one side of it. Designed by Akihisa Hirata Architecture. 10. This bookshelf starts when the materials change and carries on all the way to the top of the stairs. 11. 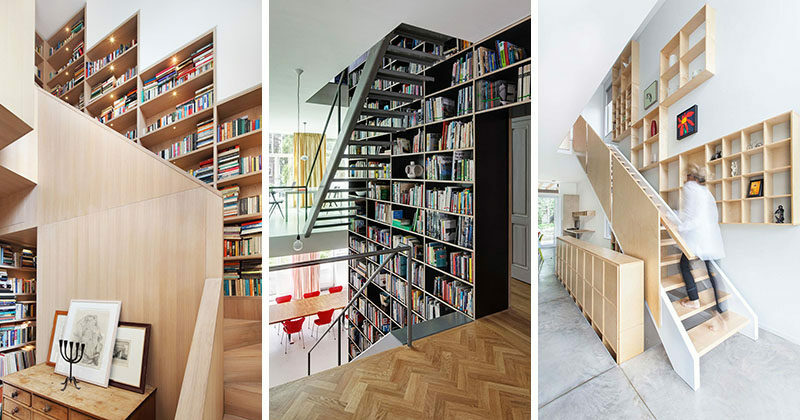 This staircase/bookshelf combo leads up to a spot perfect for reading. Designed by Sono. Photography by Matevz Paternoster. 12. This bookshelf along side the staircase is as tall as the entire apartment it’s in. Designed by Shift. Photography by Rene de Wit and Jeronen Musch.